To express ourselves through movement we can help heal, strengthen and maintain the integrity of our physical bodies. Staying active is not just about burning calories and shedding unwanted pounds—it’s about the overall impact it can have on our lives. Even as a fitness coach, I love to keep my workouts varied and, most importantly, playful! Here are four ideas that will get you moving without the use of dumbbells, barbells, or treadmills! 1. Raid the toy aisle at your local drugstore! The other day I was at my local drugstore to buy charcoal for the grill. I spotted all of these summer toys for the backyard on clearance. My intuition drove me to say YES to a $4 Skyball game and the result was a lot of fun! Any game will do for this idea (Badminton, Horseshoe/Ring Toss, etc.) Play a few rounds for 20-30min. Then say hello to your elevated heart rate, improved coordination, and have fun! 2. Walk to your local park and add a sensible workout: The walk to the park can be part of your workout. 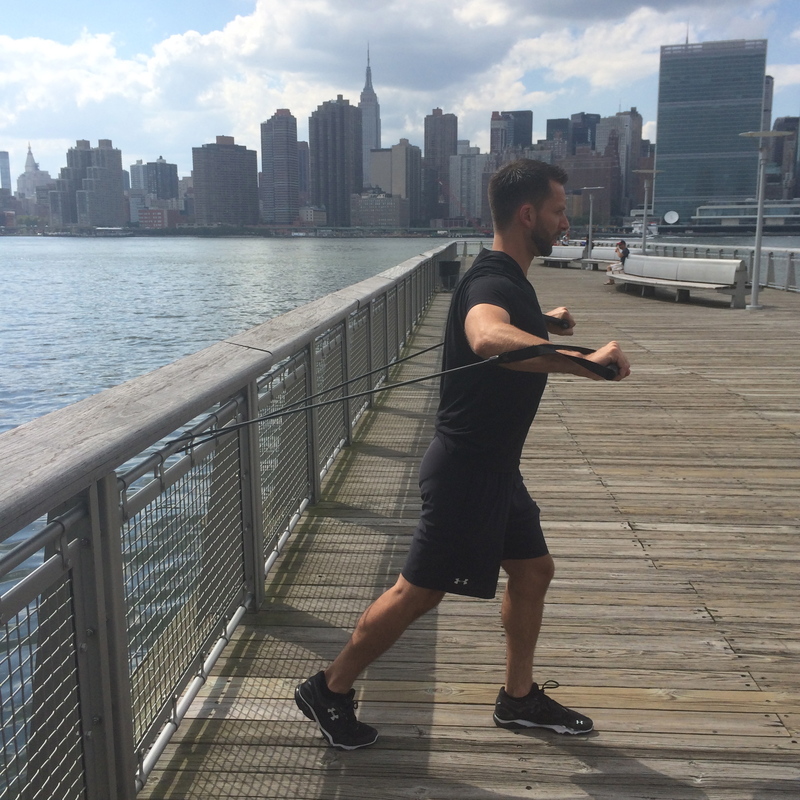 The other part can be a resistance band workout once you get there. All you need are a couple of resistance bands and something secure to wrap your band around. Circuit these four exercises as one round. Aim to perform 2-3 rounds. Wide Grip Rows: These are awesome for our posture and alignment of the spine. First, secure the band. Then, take the handles and walk the band back until it is tight. Pull the handles apart and bring the elbows to the side into a table top position. Make sure the shoulders stay down the entire time to minimize neck tension. Do 15-20 reps. Chest Press: Place the band in the same position as the Row. This time face a way from the handles. Start with the band at shoulder height with elbows flexed into a table top position. Then push the handles together while keeping your shoulders down. Do 15-20 reps. Core twist: Insert one handle into the loop of the other. Pull one handle away from the pole to create a knot in the band. Stand with feet shoulder width apart. Facing to one side, grab the handle and hold it away from the body with the elbows flexed. Then twist to the side. Control the band as your arms come back to center. Limit your range of motion if you have any limitations in your back/spine. Do. 8-10 reps on each side. 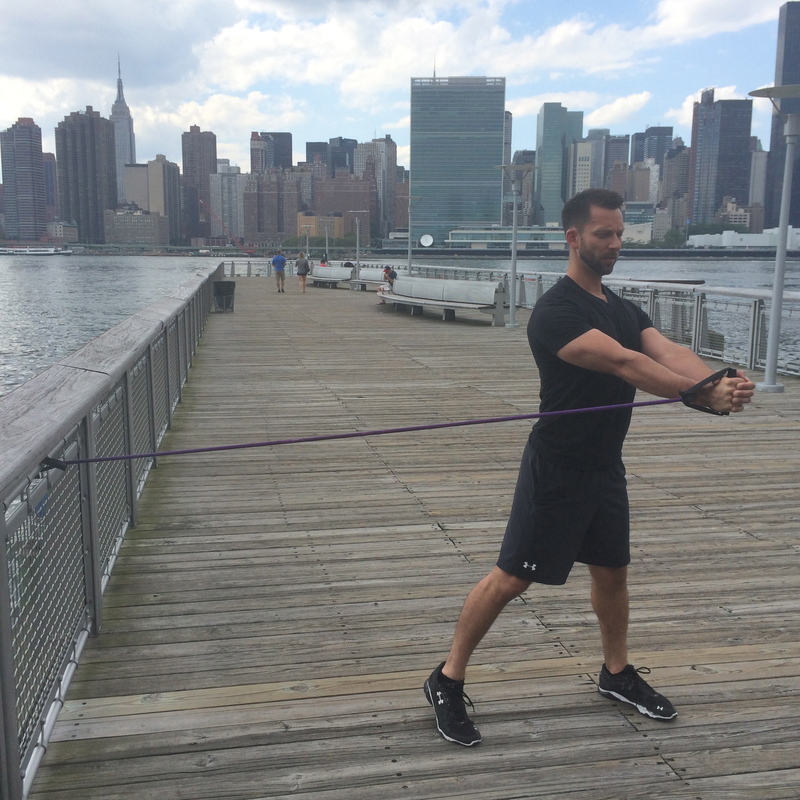 Bicep Curl: Stand with feet together on the band for lighter resistance. 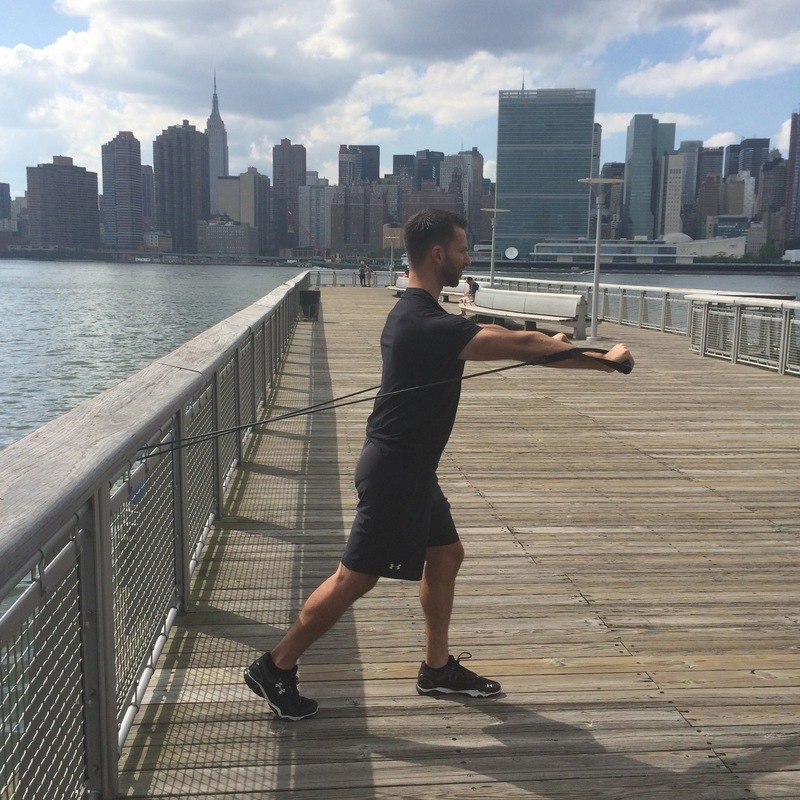 Stand with feet shoulder width apart for heavier resistance. Keep your elbows tucked into the sides of the body while maintaining a strong grip on the handles. Do 15-20 reps.
3. DANCE. A simple step-touch can put you back in touch with feeling good. You owe it to yourself to play your favorite album, lower the blinds (or not), and just dance. Challenge yourself to dance with no judgment for at least 15-20 mins. You don’t need to be great. Participation is the new winning!! Also, video dance games (ie: Dance Central) provide great opportunities to laugh and move together with the whole family. 4. The Fitness Toy Chest: Try these fitness toys to get your heart rate up. You could even circuit these items for a fun and treadmill-free cardio workout! Gliders: These look like giant furniture movers! You can slide around your house as your do squats, lunges, and core-training work. I recommend the ones here. Hula hoops: Go ahead and dig it out of the garage and get those hips moving!! Agility Cones and Ladders: These are great and inexpensive. Although, you could use anything around the house as distance markers to create your own challenge course. 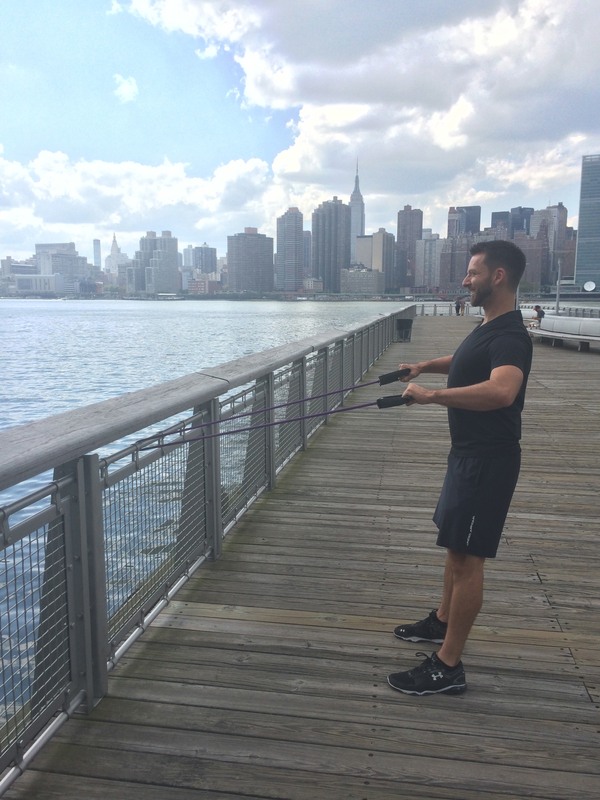 Jump Ropes: These are very effective at getting the heart rate up with very little equipment. Jump in! However you do it, get moving and model for your children how being active can be fun and healthy. Taking care of your health is an important part of taking your family, they deserve to have you healthy! If you want encouragement in your own journey of developing and maintaining healthy active family habits, join the #TLBmoves Facebook group and don’t miss out on the Joovy, ThinkSport ThinkBaby, and Tula giveaway to help you get moving! What fun ways do you find to fit some fitness and physical activity into your family routine? Any playground or at home workouts you enjoy? 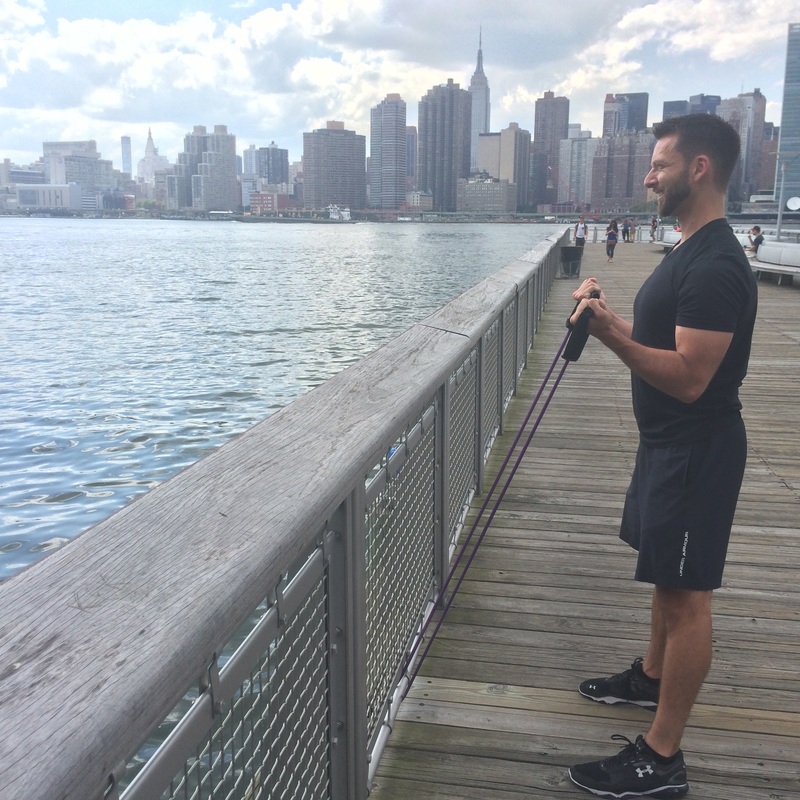 Bryan Jarrett is a certified personal trainer through the National Council on Strength and Fitness. He is a Corrective Exercise Specialist and a Sports Performance Specialist through the National Academy of Sports Medicine. He also holds a Pre-Post Natal certification from the American Council on Exercise. You can follow him on Instagram @BryanJarrettNY. Motivation to Get Moving: #TLBmoves Prizes! $350.00 to put toward the stroller of your choice from Joovy! Tula’s limited edition Star carrier (your choice of standard or toddler)! (Yes, really!) $150.00 in Thinkbaby/Thinksport sports bottles and sunscreen! The Gray Zig Zag Tula Baby Carrier (your choice of standard or toddler)! $100.00 to spend any way you’d like on Thinkbaby/Thinksport sports bottles and sunscreen! Tula’s Chloe carrier (standard or toddler) $50 to spend on Thinkbaby/Thinksport sports bottles & safe sunscreen! Our brand partners have been amazing throughout #TLBmoves. They’ve been as excited as we are about families getting healthy, every step of the way! A huge thanks to each of them for their support. (And for making such awesome products that support us in reaching our #TLBmoves goals!) Joovy’s Qool, Zoom 360, TooFold, and Caboose VaryLight have logged a lot of miles so far this month, with a lot more to come! 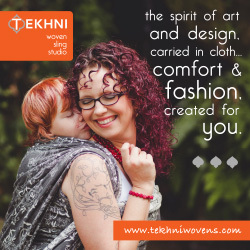 We’ve worn our babies while walking, dancing, doing chores – you name it – thanks to Tula’s carriers and woven wraps. Thinkbaby/Thinksport has kept us in sunscreen and water bottles, and speaking of… Here’s **20% off Thinkbaby/Thinksport** that you can use right now! (These water bottles are amazing. AH-mazing. No freaky metallic taste in the water and they have kept ice solid overnight!) PLUS! WAIT! We’ve got Thinkbaby/Thinksport sports bottles and sunscreen to give away through the end of August! Just post on the #TLBmoves hashtag on Instagram. We’ll be choosing TEN winners at random. All you have to do is share a pic! We’ll choose ten people who’ve shared pics on the #TLBmoves hashtag to win sunscreen and water bottles. (US only) ENTER to win one of the three prize packages above! If you can relate then this giveaway is for YOU! Mother’s Day is officially over, but Amanda and Dawn, the women running Rumina, see no reason to stop celebrating mothers. And so they would like to offer their own extension to Mother’s Day in the form of a giveaway. Being moms themselves, they are familiar with the joys and challenges of motherhood, and they know that a little celebration goes a long way. TLB: If there was one thing that you could say to mothers everywhere, what would it be? Amanda: Make sure you take care of yourself too. From the day we find out we’re pregnant we start thinking about others, our little bump, our babies, family and friends. We shift to focus on nurturing for others, especially our children, like it should be but we often put our health and well being on the back burner. In order for us to raise healthy, strong children, we need to make sure we’re taking care of ourselves too, physically, mentally and spiritually (in whatever capacity that is for you). 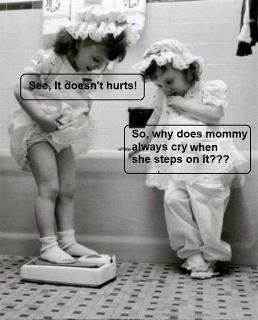 We are the first role models for our children so it’s important they see us living a happy healthy life too. TLB: What is the most rewarding thing about being a mother to you? Amanda: Seeing the excitement, newness and curiosity in my little guy’s eyes. I love watching him look at the world or focus on something new. He looks at things with such interest and curiosity that seeing this little person so in awe with life, makes me so excited about the future. I get to see him experience new things, be with him for so many of his ‘firsts’ and help him learn about the world around him. That the biggest gift I could ever ask for and the most rewarding feeling I have ever experienced. I only hope that I’m given the opportunity to share year after year and experience after experience with him. TLB: What is the most challenging thing? Amanda: The most challenging thing is to not wish for the ‘hard’ times to pass quickly. In every stage there’s challenging times and sometimes I say to myself, like I’m sure others do too, “I can’t wait for him to grow out of this” or “this stage to be over.” But for him to be out of one stage means he’s growing up into the next and I’m sad he’s growing so fast as it is! There will be hard times in each stage so I have to remember that this time will fly by and someday I’ll look back and wish he was small again. TLB: It’s Spring and it’s a great time to be outside. You recognize that one of the challenges for moms is to take care of their physical health by staying active. How does that play into this giveaway? Amanda: This goes back to making sure we take care of ourselves too. With babies, families and work or other obligations, moms often put things like their health and physical well being on the backburner. During pregnancy our bodies go through a big transformation and our hormones sometimes put us on a roller coaster ride long after having baby. If you’re anything like me you have to work hard to keep the weight off and losing this baby weight hasn’t been easy. 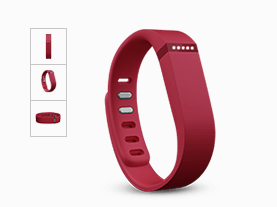 So we’re offering a Flex Wireless Activity Fitbit along with a few of Rumina’s great products to help motivate moms to take steps (literally) towards getting physically and mentally healthy! So put on that Rumina Tank, clip on your Fitbit, grab baby and head out, cause it’s Spring! TLB: Is there anything else that you would like to communicate to TLB readers and/or mothers today? 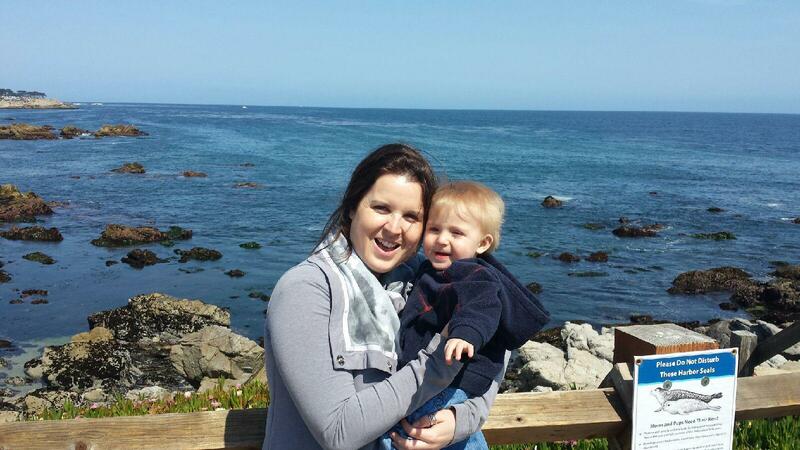 Amanda: We love seeing moms in their Rumina tanks! For those moms getting out and being active in your Rumina products we would love to see how you’re wearing your tanks, either on their own, under a camisole or something else. Take a quick pic when you’re out and about being active in your Rumina products, post to either our Facebook page or #pumpandnurse on Twitter and receive a something something from Rumina! Rumina is giving away two great prize bundles! **The New Racerback Relaxed Bra is currently in production and we’ll ship to the winners as soon as we receive our inventory. Esitmated shipping times will be emailed to the winners. Currently Leakies can find great Rumina products at RuminaNursingwear.com and more information about the Fitbit at www.fitbit.com. Good luck to everyone! Please use the widget below to be entered. The giveaway is open from Tuesday May 13th 2014 through Tuesday May 20th 2014. A big thanks to Amanda and Rumina for their ongoing support of TLB and all breastfeeding women; please be sure to visit their Facebook page or follow them on twitter (@RuminaHandsFree) and thank them for their support of TLB and this giveaway opportunity.